Tomorrow is opening day of baseball season, you're the second baseman for a major league team, you're in New York and your wife's home in Florida, your first child is due any minute, and you get the call that the baby is on the way. What's a real man to do? Do you stay and play or do you excuse yourself from the game so you can be at your wife's side through the birth of your son? 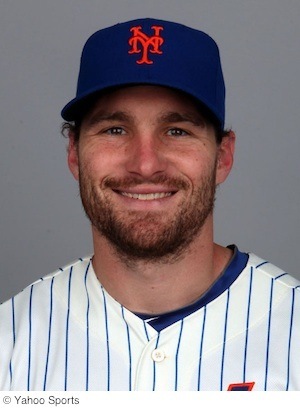 New York Mets second baseman Daniel Murphy chose to be a family man. When he got the word Sunday morning, March 30, of the imminent arrival of his son, Murphy flew home. His son, Noah, was born via C-section delivery the next day, on Monday, just about an hour before the first pitch of the season opener between the Mets and the Washington Nationals. When Murphy realized how much trouble his wife, Tori, was having with the immediate aftermath of surgery, he stayed home even longer. He describes his wife as being wiped out and needing his help for herself and for the baby. "It felt, for us, like the right decision to make," he said. Murphy took the three-day paternity leave that is part of his Mets contract. The leave is part of the contract every major league baseball player signs. Taking leave meant he missed the first game, on Monday, and the second game, on Wednesday. Murphy's choice may seem noble to many but a couple of radio announcers chose to make the new father's decision fodder for inflammatory game-time chatter. One announcer suggested hiring a nurse so Murphy could play ball rather than "sit there and look at (his) wife...for two days." The other ridiculed Murphy's wife for not scheduling the "C-section before the season starts." Text messages to Murphy at the Florida hospital kept him up to date on the disparaging radio commentary but it didn't bother him. "That's the awesome part about being blessed, about being a parent," he says. Parenthood brings choices and, after discussing the matter with his wife, they decided the best thing to do for the family was for him to stay at Tori's side. The Mets team manager agreed. Terry Collins said some guys may think it was too far to go given the circumstances "But you know what? I certainly feel it's very unfair to criticize Dan Murphy." No doubt many of Murphy's fans and teammates agreed, too. Source: Rubin, Adam. "Daniel Murphy: Right to take leave." ESPN New York. ESPN Internet Ventures. Apr 4, 2014. Web. Apr 12, 2014.